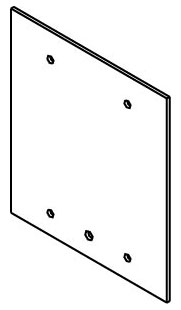 Wiremold 2-Gang metallic floor box blank plate in aluminum finish, is in-floor mountable. The rectangular plate suitable for use with AF1/AF3 series raised floor boxes. Floor box blank plate is RoHS compliant.